On the 9th of November 2014, we will celebrate the 25th anniversary of the Fall of the Berlin Wall. But in the frame of that event, shouldn’t we also be concerned about the fact that 41 SEPARATION WALLS are still dividing populations? - the wall between Morocco and the Spanish enclave of Ceuta. Every 10 days, 4 local directors living on each side of these walls, divided in 2 film crews, will have to communicate together despite these physical and cultural borders, in order to take up a challenge : co-directing short documentaries, about topics imposed to them. In between the diary and the independent documentary, those short stories will be daily testimonies about their walls. But we intend to go further and insist on YOUR PARTICIPATION. 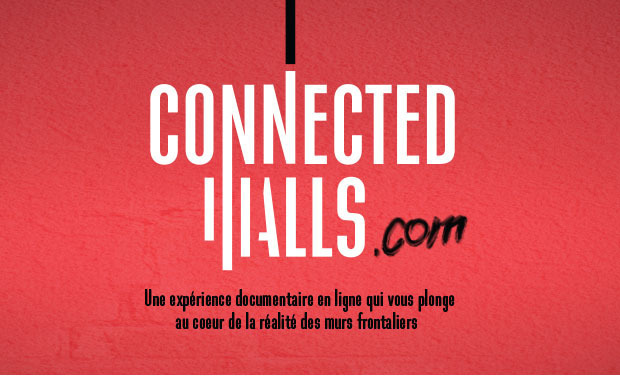 Thanks to various interactive tools available in the frame of the «Connected Walls» project, you will be able to vote for the topics imposed to our directors but also to communicate with them in order to share experiences. Alongside this challenge taken up by our characters, you will also be able to get in contact with a person living on the other side of your physical or cultural wall, and create a dialog. After more than three years of researches, this project is about to start. Thanks to your help, we will be able to launch it ! 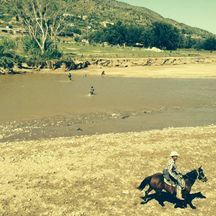 In 2010, a documentary project called « A cycle of fences » (produced by the Belgian national television - VRT), brought me, as a director, along the US/Mexico border for the shooting of the movie. For the purpose of the documentary, I crossed the Wall several times, and was really astonished to discover how that structure brought so many prejudices towards each of the separated communities. How revolting it is to witness this fact, when you know that hardly 20 years ago, people used to cross and have common relations on both sides of the border. Since then, I spent some time not only in learning the geopolitical reasons of building such structures, but also in observing the consequences brought by these massive walls on local populations. My many travels along those walls, brought me to similar consequences. Despite some binational cultural projects, it looks obvious that those barriers diminish perspec- tives of dialogs and increase assumptions towards each of the concerned communities. As Marcello di Cintio mentionned in his book, "these structures create two sides and insist on you taking one". But paradoxically, these last 3 years brought me lots of hope. Indeed, in parallel of traveling to different bor-der areas, the power of online and interactive communications intrigated me a lot. 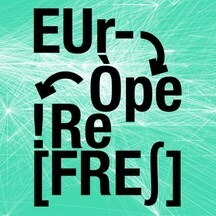 Indeed, after having been involved as a director in a realtime documentary webcontest, but also after having attended several crossmedia seminars throughout Europe (DOKLeip- zig, IDFA Amsterdam, Docville Leuven, Power to the Pixel London, Cross Video Days Paris,...), I’m today convinced that contemporary tools available online can help rebuild a dialogue between separated communities. In a few weeks, we are launching the project! But we need your help to achieve this international initiative! 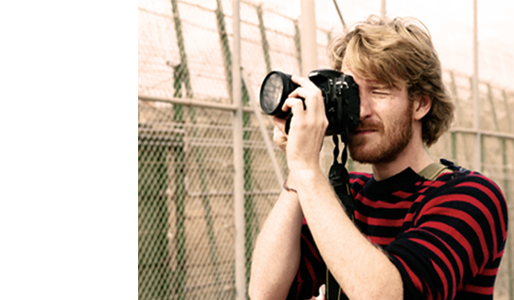 Your support will give us the chance to work with the best equipment for this kind of documentary project. - Translation fees (1200 Euros): indeed, in order to make it accessible for the local populations , but also to make sure they can be active on the webplatform, our website and its videos have to be translated in English, French, Spanish and Arabic. - support local "community managers". Indeed, in order for us to get a larger audience along the 2 borders, local community managers will help us reach local medias, universities, cultural centers, etc...). 1000 Euros more would really help us open our dialogue on a larger level. A big thank you and your name on Connected Walls website to thank you for becoming our supporter! A big thank you and your name on Connected Walls website + you’ll also get our special supporter pin (virtual version)! A big thank you and your name on Connected Walls website + get our special supporter pin (virtual version) + an exclusive postcard signed by the filmmakers sent by email. A big thank you and your name on Connected Walls website + get our special supporter pin (virtual version) + an exclusive postcard signed by the filmmakers sent to your door! A big thank you and your name on Connected Walls website + get our special supporter pin (virtual version) + a DVD containing the movies made during the project (containing also exclusive interview of the project's conceiver) + an exclusive postcard signed by the filmmakers mailed to your door + a sticker “Connected Walls”+ a beautiful orginal A4 photograph of a wall taken during the project (black and white)! A big thank you and your name on Connected Walls website + get our special supporter pin (virtual version) + a DVD containing the movies made during the project (containing also exclusive interview of the project's conceiver) + an exclusive postcard signed by the filmmakers mailed to your door + a sticker “Connected Walls”+ 4 beautiful orginal A4 photographs of walls taken during the project (black and white)! A big thank you and your name on Connected Walls website + get our special supporter pin (virtual version) + a DVD containing the movies made during the project (containing also exclusive interview of the project's conceiver) + an exclusive postcard signed by the filmmakers mailed to your door + a sticker “Connected Walls”+ 4 beautiful orginal A4 photographs of walls taken during the project (black and white)! + 1 T-Shirt "Connected Walls"
A big thank you and your name on Connected Walls website + get our special supporter pin (virtual version) + a DVD containing the movies made during the project (containing also exclusive interview of the project's conceiver) + an exclusive postcard signed by the filmmakers mailed to your door + a sticker “Connected Walls”+ 4 beautiful orginal A4 photographs of walls taken during the project (black and white) + 1 T-Shirt "Connected Walls"+ an exclusive webconference given by Sebastien over the adventure of Connected Walls, from the idea to the work.